The number of unresolved, high-profile murders in Russia over the past 15 years paints a dismal picture of the work of Russia's law-enforcement organisations and its judiciary. Of the 12 most infamous killings, only two have been solved. Russian Interior Minister Rashid Nurgaliev told journalists earlier this year that Russia was "moving in the right direction" in combating contract killings. Yet many Russian MPs believe corruption and a labyrinthine bureaucracy are to blame for poor investigations and the frequent failure to secure justice. Below is a list of 12 of the most high-profile cases in Russia. The first high-profile killing in the so-called new Russia was of Dmitry Kholodov, a journalist with a Moscow tabloid newspaper. He was killed in October 1994 by a briefcase bomb. Kholodov had been investigating corruption in the army. Prosecutors said the assassination was organised by a group of six people led by the head of the intelligence service of air-borne forces. In June 2003, Moscow's military court cleared the defendants, citing a lack of evidence. 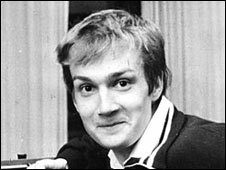 A popular TV presenter, Vladislav Listyev was killed in Moscow in March 1995, only 34 days after becoming director of Russia's Public Service Television. The killer waited for Listyev at the entrance to his block of flats and fired two shots at point-blank range. No one has ever been arrested. Commentators say Listyev was targeted due to his attempts to make advertising at the channel more transparent. Mikhail Manevich was a 37-year-old senior official in St Petersburg, and friend of Anatoly Chubais, who organised Russia's disastrous "loans-for-shares" privatisations in the 1990s. 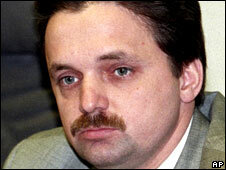 Manevich was shot in the morning of 18 August, 1997, on his way to work. Bizarrely, although the case has never officially been solved, on the anniversary of the crime in 2005, Mr Chubais announced that Manevich's killers "had been found". 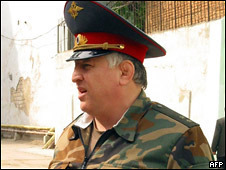 Lev Rokhlin was a former lieutenant-general who fought in Afghanistan and the first Chechen war from 1994-1996 - famously condemning its brutality. He was assassinated on the night of 3 July, 1998, at his dacha near Moscow. He was shot in the head with a gun he had received as recognition for his military achievements. 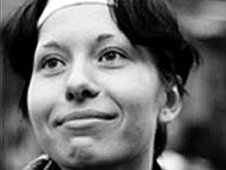 In November 2000, a court convicted Rokhlin's wife, Tamara, of her husband's murder and sentenced her to eight years in prison. Her supporters insist the security services were behind the murder. Galina Starovoitova was an MP and one of the leaders of Russia's democratic movement as well as a human rights activist and international relations specialist. 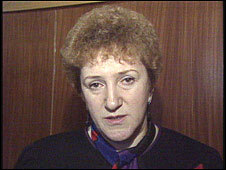 She was shot dead near her St Petersburg home on 20 November, 1998. In 2005, a court sentenced the "technical organiser" of the killing, Yury Kolchin, and the gunman, Vitaly Akinshin, to long prison terms. But who ordered the murder - and why - remains unknown. In September 2009, the case was re-opened because of "new developments". 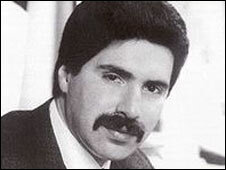 Akhmad Kadyrov died on 9 May, 2004, when a bomb exploded at a stadium in the Chechen capital, Grozny. He was 52. He was the leader of the pro-Moscow Chechen administration and former mufti of the self-proclaimed Republic of Ichkeria. In the first days of the second Chechen war, he moved to the federal forces' side. Officially, the case has not been resolved, but his son Ramzan Kadyrov, current president of Chechnya, says he has killed everyone involved in his father's death. Andrei Kozlov, the 41-year-old first deputy director of the Central Bank of Russia, was shot at close range on the evening of 13 September, 2006, while getting into his car. On 13 November, 2008, Alexy Frenkel, a former head of VIP bank, was sentenced to 19 years in prison for organising the assassination. Alexy Polovinkin, who pulled the trigger, was sentenced to life in prison. Three months before the crime, the central bank had taken away Frenkel's licence. 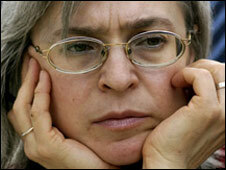 A columnist for the Russian newspaper Novaya Gazeta and well-known human rights activist, Anna Politkovskaya was shot on 7 October, 2006, at the entrance to her block of flats on Moscow's Lesnaya Street. For many years, the main theme of her work had been Chechnya. In August 2007, a Moscow court ordered the arrest of 10 suspects in connection with her death. But the majority of them were later freed. A Moscow police officer and two Chechen brothers stood trial for the murder, although a third brother, who was suspected of being the gunman, disappeared. The three were acquitted by a jury in February 2009, and have since been sent for retrial. But Russia's Supreme Court also ordered a new effort to catch those who planned and carried out the killing. Lawyers say the case against the three suspects in custody will now be halted and merged with the hunt for the killer and alleged mastermind. 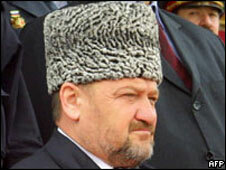 A former State Duma deputy from Chechnya, Ruslan Yamadaev was shot dead in central Moscow in September 2008. 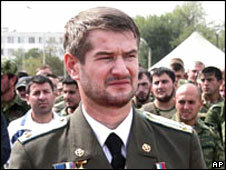 His brother Sulim, a former Russian military commander of the "Vostok" battalion formed of contracted Chechen soldiers, was killed on 28 March, 2009 in Dubai. He was shot dead in a parking lot near his home. The brothers were members of an influential clan that virtually controlled Chechnya's second-biggest city, Gudermes. When the second Chechen war broke out in 1999, the brothers switched sides and joined Russia's federal forces. Their relations with Chechen leader Ramzan Kadyrov had become tense in the years before their deaths. Moscow lawyer Stanislav Markelov, 34, and 25-year-old Novaya Gazeta journalist Anastasiya Baburova were shot and killed in broad daylight by a masked gunman on Prechistenka street, near the Kremlin. Markelov worked on several human rights cases, some in connection with Chechnya, and had received several phone threats from extreme Russian nationalist groups. The main areas of Baburova's journalistic interests were neo-Nazis and skinheads. Dagestan's 53-year-old interior minister, Adilgirei Magomedtagirov had a reputation for being a fierce opponent of Islamic radicals. 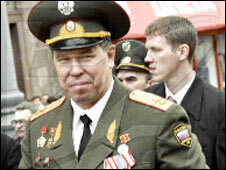 He was killed on 5 June, 2009, in the region's capital Makhachkala. He was shot by a sniper near a restaurant where he had been celebrating the wedding of a colleague's daughter. The killer used a specialist rifle and rounds commonly used by Russia's special forces. The investigation has so far been fruitless. 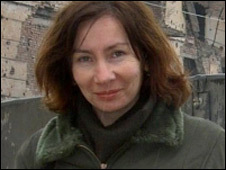 A Chechen human rights activist, journalist and employee of the human rights group Memorial, Natalya Estemirova was kidnapped on 15 July, 2009. Several hours later, her body was found riddled with bullets on a roadside in neighbouring Ingushetia. She was 50 years old.